Calling all bargain hounds! Humane Society of Central Oregon Thrift Store is your spirit animal. Located on South Highway 97, across from WalMart, HSCO Thrift Store is packed with great deals for a great cause. From clothing and household items to jewelry and more, shoppers are sure to find something they simply must have. And since all proceeds support the Humane Society of Central Oregon, every shopping spree is guilt-free. If you’re moving, downsizing or spring cleaning, HSCO Thrift Store invites you to donate clean, saleable tools, housewares, toys, shoes, clothing, sporting goods, electronics, and other items that are in good condition. They also accept donations of automobiles, trailers, RVs, boats, and motorcycles in good working condition. When you drop off your donations, take some time to browse the aisles of fine collectibles, fine jewelry, antiques, vintage pieces, and other treasures. 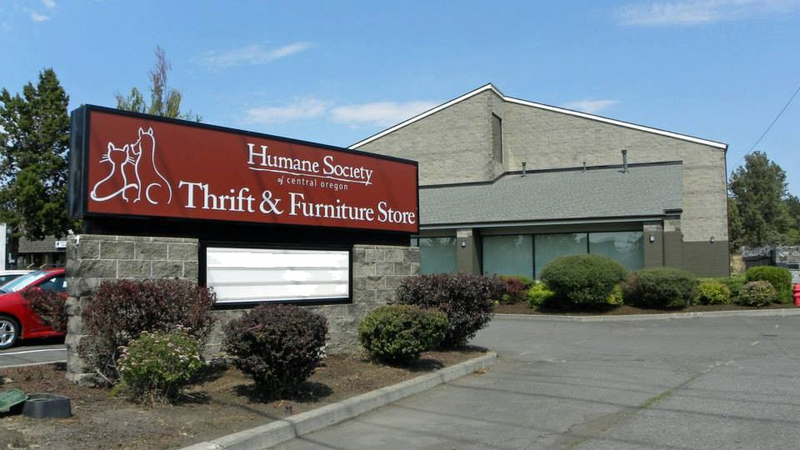 The HSCO Thrift Store is an important source of revenue for the organization’s shelter operations so you can feel good knowing that every purchase you make makes happy tails wag across Central Oregon.